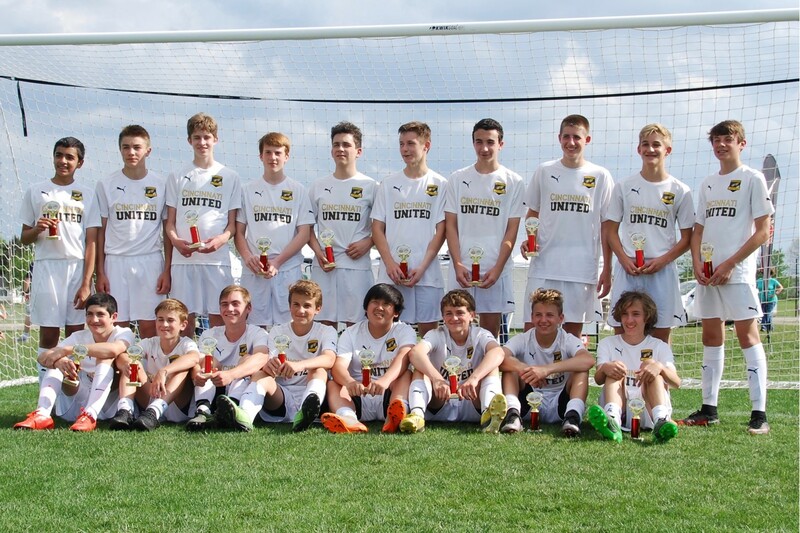 The Boys U15 CU Syc-Ma Gremio team walked away the UNDEFEATED CHAMPIONS at the Ohio Elite Spring Classic. We had 14 Goals for and 0 Goals against in 4 games over the weekend. The boys played VERY well together as a team, with a strong offense and defense. The midfielders played flawlessly working the ball around the pitch. They play in BPYSL Elite 2 and their success this season will allow them to play at the Elite 1 or State level next year. CU-Gremio is trained by Todd Kelly and Coached by Marty Sargent.